This post may contain affiliate links. You can read my disclosure policy here. 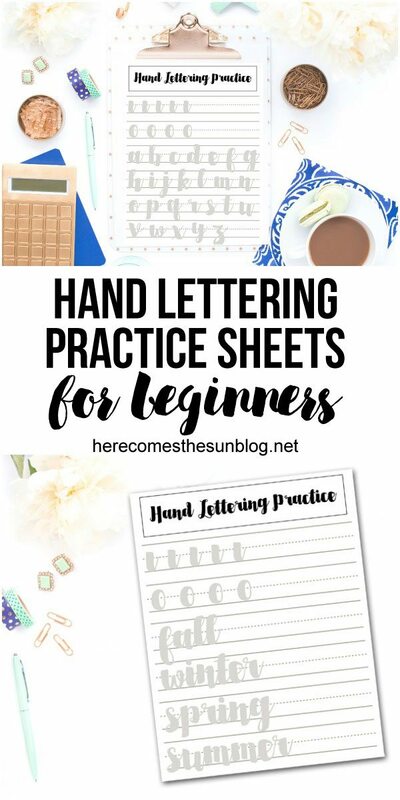 Use these hand lettering practice sheets for beginners to get started on your hand lettering journey. Hand lettering is very popular right now. You see it all over Instagram and Facebook. I could watch hand lettering videos for hours. And I do. They are truly mesmerizing . You can watch tons of videos but they only way you are going to get good at something is if you practice practice practice. 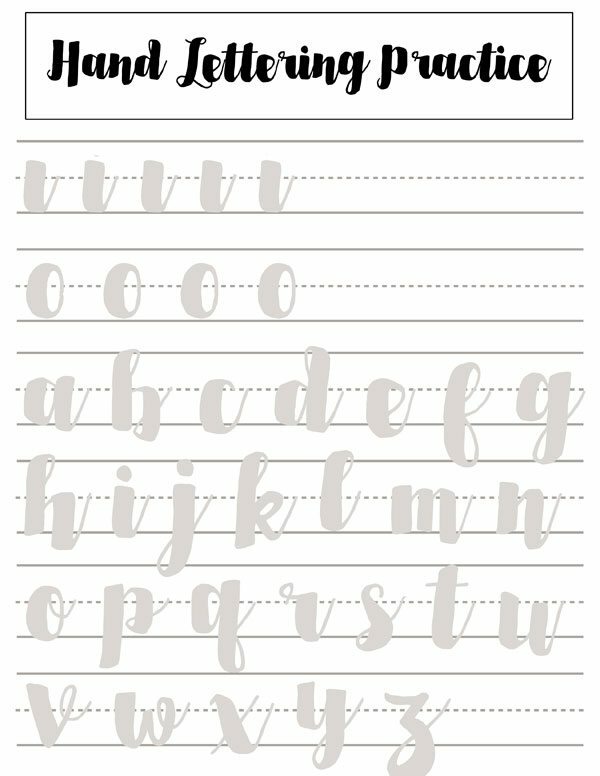 That’s why I’ve created this hand lettering practice sheets for beginners. 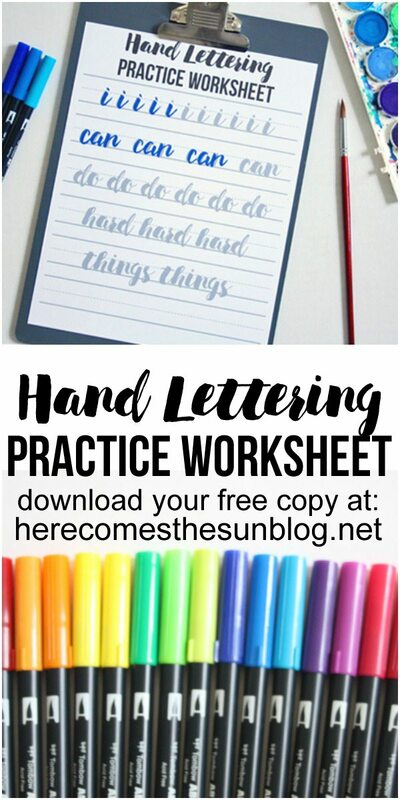 The last hand lettering worksheet that I created got a great response and I’m hoping you love this one just as much! Before you start hand lettering, you’re going to need some supplies. Brush pens – my favorite are the Tombow Dual Tip Brush Pens. These pens work best with thick, chunky letters like the letters used on the practice sheets. They come in bright colors and primary colors. Tracing paper – you may want to use tracing paper. That way, you only have to print out one copy of the practice sheet and you won’t waste ink printing out a gazillion copies. I’ve found that the easiest way to learn and develop your style of hand lettering is to study fonts. The font that I used for the hand lettering practice sheet is Sortdecai Brush Script by Creative Market. I’m a font hoarder and love all the fonts and designs that Creative Market offers. There are all different styles of hand lettering. Skinny lettering, thick lettering, bounce lettering… and the list goes on and on. I love them all but currently I am most drawn to the thick chunky hand lettering style which is why I chose this font. The key to hand lettering is thick downstrokes and thin upstrokes. You can get more hand lettering tips in this post. Start with the basic strokes (at the top of the sheet) and then move on to the letters. Just remember. Everybody starts at the beginning. Don’t get down on yourself if your hand lettering doesn’t look just the way you want it to right at the start. I’m still practicing and refining my technique and still trying to find out what my personal style is. I’ve come a long way with my personal style but it is always evolving. 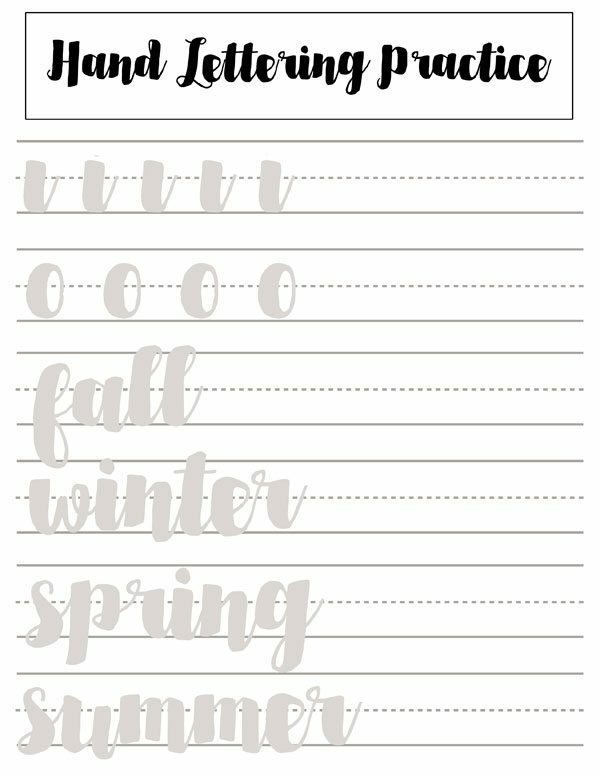 Get another hand lettering practice sheet here.